January 2018 – TermSync, Inc.
Hello and Happy New Year! We hope you had a wonderful holiday season and are ready for an exciting year in A/R and collections management. To start off 2018, we've got a handful of really exciting new features to share with you. Very soon you will be seeing the addition of a search bar throughout your TermSync solution. With the addition of this useful search bar, you will notice a few updates to your main menu and your user-profile options. Click here for all the details. When sending messages to your customer through TermSync, you may want to exclude certain contacts that are linked to the customer's account. Previously this was set up in the Address Book for each customer. Now you will notice each email address eligible to receive your message as a choosable recipient within the message popup itself. From here, you can check/uncheck to ensure your list of recipients is accurate before clicking Send. If your customer requests an invoice PDF through TermSync, take advantage of the Send Invoice PDF feature. Located in the Invoice Details section, this new available-action allows you to deliver the invoice PDF (uploaded in TermSync) as an email attachment with the click of a button. Additionally, you can take advantage of this workflow in your Invoice Listing. When sending a message to multiple customers using the bulk-action feature (Send Message to Customers), you can automatically include the associated invoice PDFs with the click of a button! Please note the invoice PDF must be uploaded in TermSync in order for it to auto-attach to your message. If you are currently subscribing to TermSync's Invoice Delivery, invoice PDFs are auto-delivered via email, fax, and/or postal mail to your customers. But what if your customer requests that you resend those invoices when it comes time to pay? We've made it easier to meet this request using the Resend Invoice Delivery feature. This new feature, within the Invoice Receipt Tracking section for each invoice in TermSync, allows you to easily resend the invoice PDF by your choice of available delivery methods (email, fax, or postal mail). One of the most useful tools in TermSync is the To-Do List on your Receivables dashboard. The option to add your own to-do's is the perfect way to create shortcuts to the most pertinent filters you are tracking in TermSync. Need a reminder on how to add your own to-do items? Click here. When adding a new custom to-do item, you will now see each filter you've saved under the listing it was created in, allowing for more clarity for those creating many filters throughout TermSync. Esker User Conference (EAUC) - Register Today! 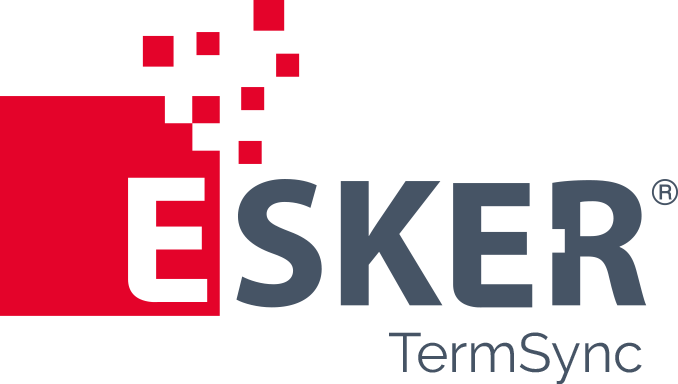 Don't forget that users of the TermSync solution are coming together on April 17th-18th for Esker's largest educational and networking event (EAUC in Madison, WI). The early-bird registration discount expires soon, and you don't want to miss this incredible event with user-led panels, insight into the TermSync roadmap, and endless opportunities for collaboration with both fellow industry leaders and the TermSync team. Click here for the two-day conference session details. Click here for access to the early-bird registration discount.